There are a lot of IPTV Players available but i think this one has the most sophisticated interface . 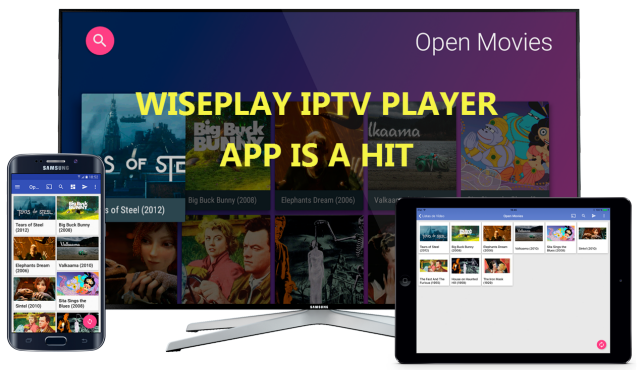 Wiseplay is a free multiplatform multimedia player. It is best IPTV Player , is compatible with many video formats and playing lists. Thanks to its simple interface it is very easy to play local videos as well as videos hosted in remote servers.
. Play multiple video formats in HD.
. Cast all your videos to your TV.
. Load w3u and m3u lists very quickly.
. Share your lists with your friends. Go to this link to download & install Wiseplay it will take you to the google play store . Go to this link to download & install Wiseplay it will take you to the Apple Store . To add a list using a URL, first you must make sure it is a valid list and it is active in the server. Then click on the (+) button. 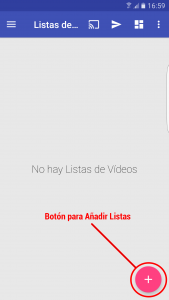 Once we click on the button “Add Lists”, two options will appear, as we want to import a list from a URL we choose the first. Then, introduce the address of the list, as the window indicates, Wiseplay in compatible with m3u lists. If you have previously copied the list just click on the Paste option and the hit OK. You can also copy the list manually.